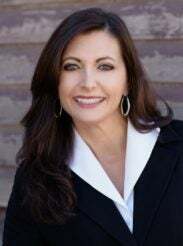 With over 33 years of experience as a mortgage professional, Anna Ruotolo is known for her passion in assisting clients in achieving their goals of home ownership. Anna’s background includes growing and building mortgage companies across many states. She has specialized in the creation of relationships with Real Estate Firms and is known for fantastic operations teams, having great customer service, and running highly productive teams. In her off hours, Anna loves spending time with her family and friends. She also enjoys working out, running, reading books and planting flowers. Living life and enjoying every moment! Anna looks forward to working with you on your home financing. Call her to experience the difference. Licensed in CA, NV, WA and AZ.